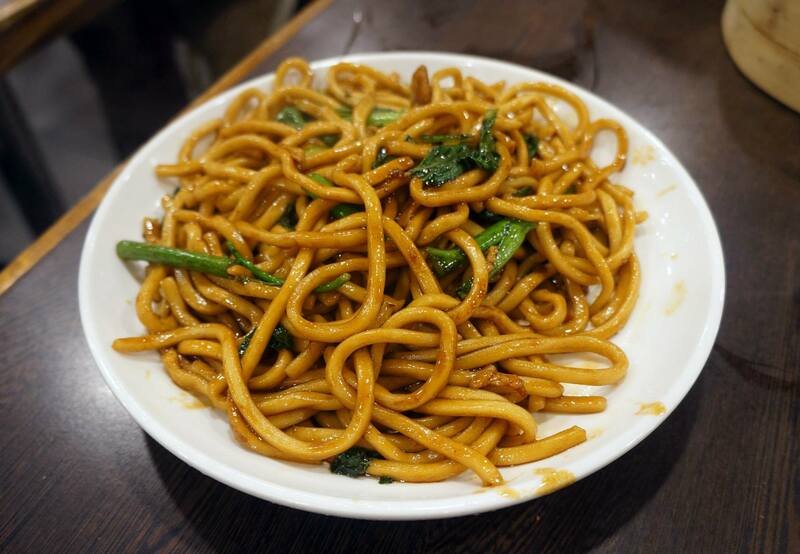 Miss K and I always enjoy good Shanghai cuisine and one of the places we visit frequently is Taste of Shanghai in World Square mostly because of it’s convenient location and comparatively low prices. The menu here is quite extensive and includes many pages of Chinese dishes including the staple dumplings, noodles and fried rice. 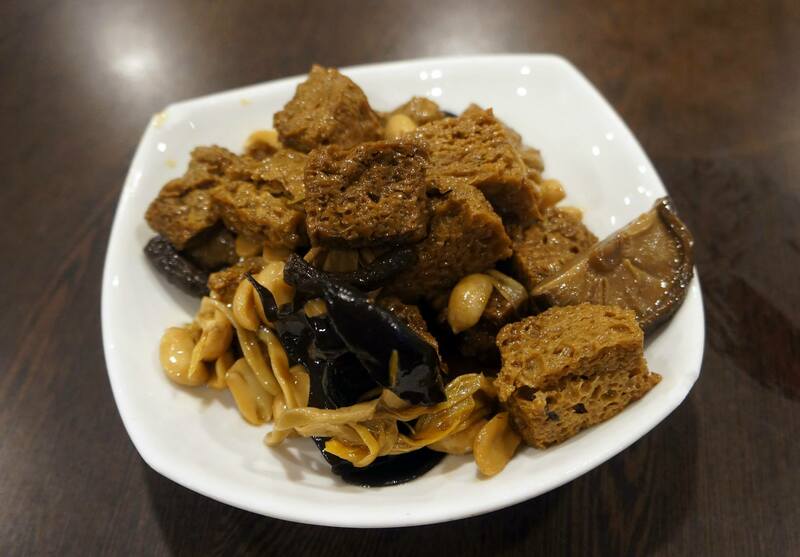 I’m actually still not sure why they called this dish baked bran, it’s more of a mix of cold tofu and mushrooms. The whole dish is marinated in a sweet soy based sauce which gives makes it juicy, it’s quite tasty overall so I generally try to order this whenever I can – they seem to run out half the time I’ve tried to order it though! I guess one of the reasons I really enjoy Taste of Shanghai is because the dishes are simple and I regard them it as comfort food. 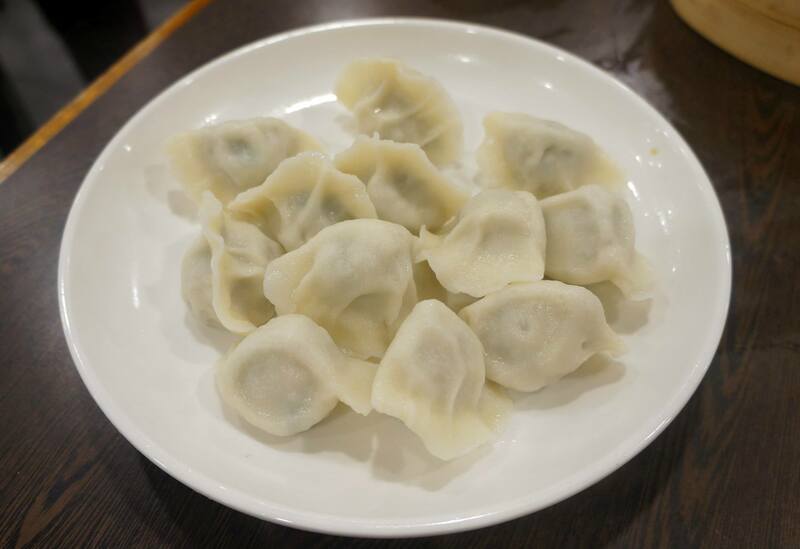 I normally try to order new things on the menu but when visiting this place I usually get the exact same things, in this case Pork & Chive Dumplings (boiled) are a must order because they’re quite delicious and filling especially when dunked in soy sauce and vinegar. Miss K really enjoys noodles and Shanghai style noodles are one of her favourites so we usually order this dish since not many other places in Sydney have it. I personally think the dish is quite oily but it tastes great so any thought of a healthy dish goes out the window when I start eating! I have to admit I don’t consider Taste of Shanghai the best place for a Shanghainese meal but the food is quite cheap and the location excellent, there’s never a line and the food comes out quick. 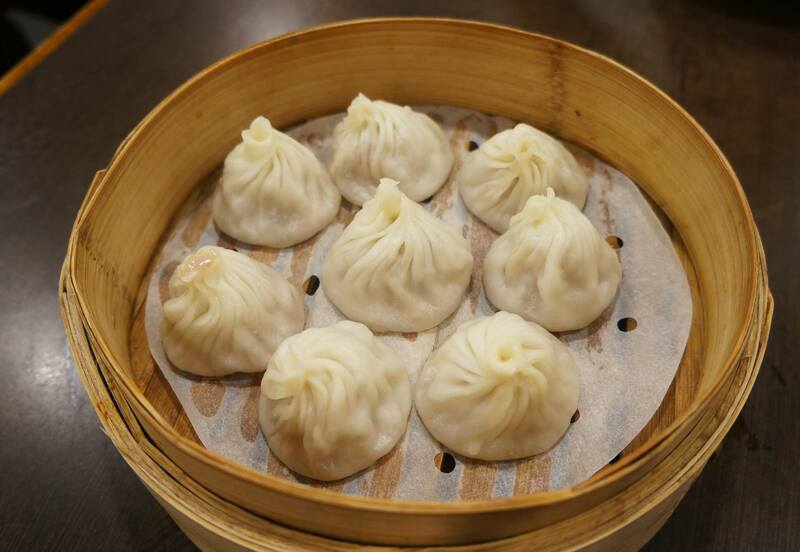 As an alternative, if you’re looking for something a bit more fancy then definitely head upstairs to Din Tai Fung which is easily one of my favourite restaurants in all of Sydney because of the Xiao Long Bao!